Like the demise of Mark Twain, reports of the death of the album have been greatly exaggerated. While is it clear that sales of albums have halved since the turn of the century- and that is a fact that can’t be disputed- albums are still a massive money spinner for the music industry. There’s a lot of talk about how “the kids” haven’t got the time, attention-span, inclination or (implied) intelligence to listen to music in a format that last for more than a few minutes. Music is being consumed-and isn’t that a terrible idea, “consuming” music- in different ways and formats than before such as downloading, file-sharing and more recently, streaming. Artists are, we are told, looking to get their music out to us in different ways such as releasing stuff only as singles or EP’s. On top of this there’s everything about how for really big artists, albums are a sort of supermarket loss leader, akin to flogging tins of beans or washing powder at less than cost price, in order to entice punters into buying something else altogether. The real money is said to be made from ever-increasingly massive tours. All of this may or may not be true. Who really knows? There is a decline in album sales and whether it’s inexorable, it’s hard to tell. No-one can see what will happen in the future and as we know, that’s especially true in relation to the music industry. Now it may well be a cliché to say that you can prove anything with statistics. There’s possibly hundreds ways of analysing data in order to convince us that albums are a dead or, at least dying, art form. But let’s put all that to one side. Is that what music is all about? Data, consumers, trends, analysis, revenue streams? Is that why we listen to music and is that why we love music? Of course it’s not! And even more so, where do we stand on albums? We know they’re important and we know that they work. At its best an album is a coherent thing, a summation of what an artist is doing and thinking of at a particular time. It’s considered and thought through and allows ideas to be expanded in more depth than a mere three and half minute single. There’s a certain patronising attitude that popular music is just that. Popular in the sense of relegate it to three minutes or so; it’s not worthy of anything more. There’s nothing more to be said than what can be caught up in 360 seconds or so. After all, it’s not “proper art” is it? Combine this with the implication that “kids” have the attention span of a gnat and you’re left with the conclusion that popular music is a throwaway art form after all. We have to refute this and we must refute this. It’s ridiculous to say that anyone under thirty years-old can’t listen to music for more than three minutes in one go. It’s not as if there’s been a cliff-edge of dumbing down and from what I can tell, younger people are just as intelligent and perceptive, if not more so than the older generation. (Look at the recent General Election for clear evidence of this.) Furthermore, why should popular music be restricted in length? Could you imagine if any new classical music was written and performed in short bursts only? A symphony that would only last five minutes? We also shouldn’t forget that as music fans, we do hold music in album form in high regard as well. We might love a couple of singles from a new artist but we do know that the proof of the pudding is, so to speak, when we hear the debut album. We’ve all had that conversation haven’t we? “Yeah, the singles were good, but I can’t wait to hear the album!” or “I loved the singles but the album was ace.” Or even “…the album was a real let-down.” The making of an artist is through the album and that still holds true, even in 2017. And it’s the same for the artists as well. Both for us as the audience and for them as creators, know that they only have reached a certain level when they’ve got an album under their belts. Not making an album is akin to a great writer only ever writing short stories and forgoing penning a novel or a painter only drawing on post-it notes in pencil. We can see what they’re trying to say over the space and time of 45 minutes or so. That’s why albums are important and should remain so and that’s why here at Getintothis we celebrate them each and every month. It’s been a while, but All We Are have released a belter to follow up their breezy poppy debut, self- titled album from 2015. The band teased the release out on YouTube starting with the glorious, League-of-Gentlemen inspired video for Human – New Road, anyone? They followed that with videos for Animal and Burn It All Out. The music is uplifting, joyful pop/rock, but the subject matter’s serious and a reflection of these crazy days in which we find ourselves having to negotiate. 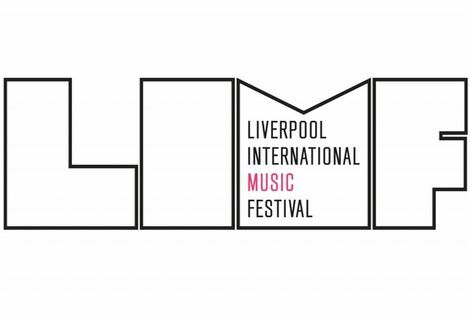 Worthy GIT Award winners in 2015, All We Are form part of a seriously impressive Liverpool scene that includes the likes of Clean Cut Kid, The Sundowners and She Drew The Gun, all of whom are getting decent press and TV coverage. 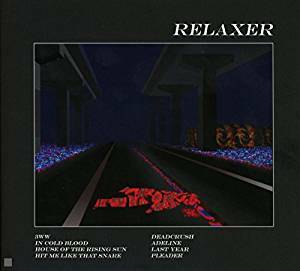 Relaxer is the third studio album of indie rock band alt-J, with just 8 tracks, the concise nature of the album contrasting with the grand landscapes created throughout. With pop culture references to Truman Capote’s In Cold Blood to The Animals The House of the Rising Sun, the cinematic effect on the sound of the album can’t be denied. The dark undertones below a surface of dizzying melodies allow the band to explore more intricate narratives from murder to depression to crushes on historical figures long gone. 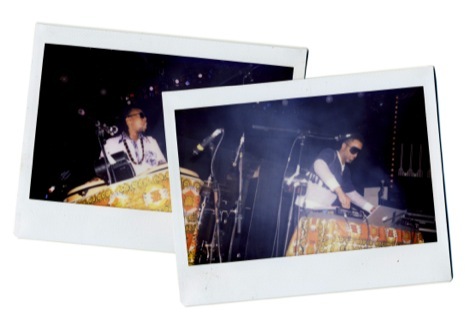 The entire narrative of the album appears to follow separate stories of each track. The second track of the album, In Cold Blood relays the story of a man who dives into a pool at a party and re-emerges to find someone has been stabbed. While this tale alone could have been a slower and more melancholic track, alt-J take the chance to show the urgency and panic and confusion of the surroundings of the story. The use of a full orchestra on Deadcrush takes the track to a whole new level of a cinematic score as it builds an unusual tension throughout and allows the strange nature of a deadcrush to wash over the listener. Last Year is the penultimate track on the record and possibly the most devastating lyrically and the stripped back nature of the melody allows this to shine through as a look into depression and suicide, as the vocals depict the heartbroken struggle of understanding. The album ends with the track Pleader, a track inspired by How Green Is My Valley by Richard Llewellyn, with the title being a main lyric throughout the song and the soaring vocals and harmonies feeling grander than life as they sweep in and around the track. Regular readers of Albums Club will now be well versed by this writer marrying an album to a film – well, get this, Hydrogen‘s sprawling nine-minute epic opener Bone is an absolute shoe-in for an imaginary reboot of Predator. You can almost hear the sweat pouring off Mac’s face as he caresses that razor blade across his face or feel the skin opening up as Billy drags the sword across his chest waiting for the monster to move in for the kill. The follow up, and ten-minute whopper Fire Tongue, even recalls Predator composer Alan Silvestri‘s use of tumbling wood blocks rhythms which perfectly suits the ferocious forestry climes. Back in the real world, Hydrogen is the work of Enslaved guitarist Ivar Bjørnson – who together with Steve Austin on effects and more guitars plus visual effects man David Hall – have created a piece which is both claustrophobic and hugely absorbing. Each of the pieces are mammoth in scale, Gamma a ten-minute ambient piece which recalls their inspirations of Tangerine Dream and fellow Krautrocker Klaus Schultze while the more contemporary sounding Salt wouldn’t seem out of place being blasted at Liverpool’s Psych Fest at 2am to a room full of wide-eyed, battered mind souls. 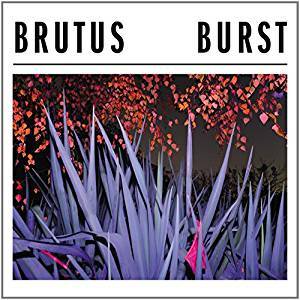 For a band with their beginnings traceable to a Refused tribute act, Belgians Brutus plough a ferociously distinctive furrow on their debut full-length. Damn if even European tribute bands aren’t cooler than the UK’s. March kicks off Burst in appropriately propulsive style, a pace that never really drops throughout. Frenetic riffs come in tics, which are bludgeoned to death a giant, spacey bass tone and piledriving drums. The album bursts from the starting blocks with utmost urgency, convulsive drumming both punctuating and buttressing the black metal-like screed of guitar on All Along with crushing blastbeats. The track in isolation proves vocalist/drummer Stefanie Mannaerts‘ dual duties hammer Burst home time after time, from her throaty bark on All Along to the frantic fills of the sky-reaching Not Caring. Producer Jesse Gander – veteran of work with Japandroids and White Lung amongst others – ensures Burst never wants for punch throughout; check out the concussive breakdown which ushers in Justice De Julia II‘s soaring second act for a case in point. Drive too is massive, brutal, and throbs like a split lip. Bird opens sounding almost balladlike, but storm clouds quickly gather and Mannaerts‘ voice bellows over Stijn Vanhoegaerden‘s lead-heavy guitars. Child closes out, furthering the dark atmosphere and post rock textures conjured throughout an album thrilling in its myriad of styles and influences. 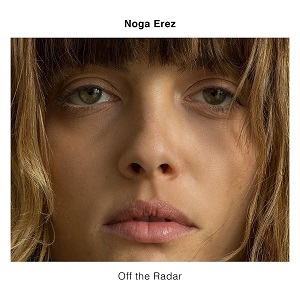 The obvious comparison for this super confident debut album by Tel Aviv-based Israeli artist Noga Erez is to MIA. The production kow-tows to Diplo to the point of downright obsequiousness (check the Major Lazer quotes on Noisy) and the fashionable disjointedness with female vocal borrows unapologetically from FKA Twigs. It’s all competently, at times pyrotechnically produced, but far too in thrall to its heroes to make a real mark. But there are other flavours here that put this album beyond the reach of even its stylistic trailblazers. There’s an honesty and social rage here necessitated by, albeit a thousand steps removed from, referencing hip-hop conventions. But whereas MIA’s political commentary is a generalised “stick it to the man” THC enhanced sulk, Noga Erez has the experience of living in the racist, militarised state of Israel to lend lyrical gravity. This uniquely Israeli voice extends into the music too. A touch of Arabic melody and harmony, a whiff of the pre-war opera houses of Europe, the close harmony of 40’s Broadway, even the clarinets of Klezmer shoehorned into the contemporary production. With six quiet years passing by for Robin Pecknold since Fleet Foxes released their last album Helplessness Blues, you could easily have been forgiven for assuming we’d seen the end of the American cult folk stars. There were no noises of any new music on the horizon, their former drummer Josh Tillman was off making a name for himself under the guise of Father John Misty, with Pecknold failing to get an attempt at a solo career off the ground. It seemed as if the band who we first fell in love with back in 2008 with their self titled debut album would be consigned to history as just a flash in the pan. But much to our delight, Fleet Foxes have returned this year with their third studio LP Crack-Up, and while their sound has no doubt developed during their six year hiatus, there is a warm familiarity to their sound that makes for an enjoyable listen. 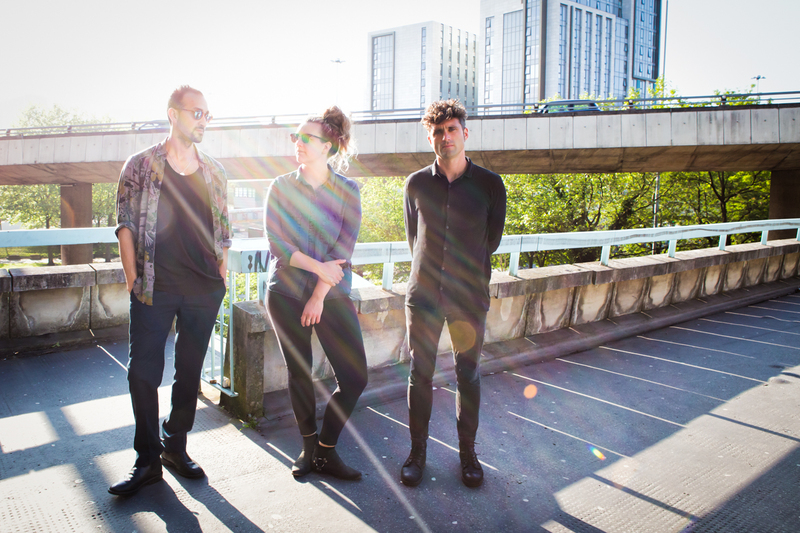 The album starts off strongly, with the dynamic I Am All That I Need picking straight up where Helplessness Blues left off, with a darker, more fractured sound than the shimmering folk of their debut. Lead single Third of May/Ōdaigahara is a real standout, bringing together perfect harmonies with a stunning melody, building in to a real epic, showing Fleet Foxes at their hypnotic best. While it’s certainly an impressive record, it’s very much a collection of great moments, rather than a complete, cohesive piece of work. Tracks such as Kept Woman and Fool’s Errand are genuinely stunning, but these moments of majesty are punctuated by underwhelming tracks such as Mearcstapa, I Should See Memphis, and title track Crack-Up. Returning with her sophomore album, Lorde comes back with an almighty bang that is Melodrama– a long 4 years after her debut album. The opening track and first single, Green Light launches into the album with a new confidence from the experience the past 4 years have afforded. Green Light shows the incredible strong pop sound she is capable of paired with the darker melancholy lyrics creating the perfect introduction to the album. Homemade Dynamite and The Louvre further the pop sound, but the raw nature of Lordes voice and lyrics cuts through an artifice that may be necessarily associated with this genre, and compels an honesty from in the meaning the listener takes away. ‘They’ll hang us in the Louvre, Down the back, but who cares—still the Louvre’; the witty self-deprecating lyrics gets to the heart of the matter, the idea of loving a relationship but how that is now only worthy of being in a gallery. Hard feelings/loveless opening is reminiscent of Royals, feeling like the perfect nod to her debut album, a suggestion of the development in her work. At the beginning of Loveless a sample from a documentary about Graceland plays with Paul Simon saying ‘what is this tape?’ furthers a strong connection between Lordes influences and the outcome which she embraces and displays it rather than burying it. Softer moments in the album are Liability and Writer in the Dark, both of which evoke such anguish of the quieter thoughts of love and loss, with the absence of the high tempo melody and instead the sweeping and soaring harmonies such as in Sober II (Melodrama) elevate the album with a new depth, allowing for quieter moments of reflection. Jessica Moss is a founding member of Black Ox Orkestar, plays violin for Thee Silver Mt. Zion Memorial Orchestra and has worked with many other acts including the likes of Arcade Fire, Geraldine Fibbers and Broken Social Scene. 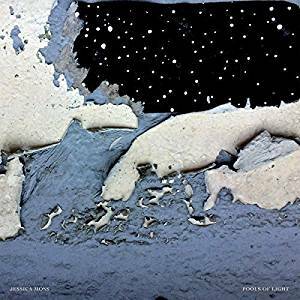 Pools of Light is her second solo album and shows how well things can work when someone steps forward and spreads their wings. While there is a certain familiarity- or at least echoes of her work with Thee Silver Mt. Zion Memorial Orchestra and that is only natural- there’s enough on this album to make it her own. There’s eight tracks on the album, all of which last between four and a half and seven and a half minutes. The album is split into two parts; the first four tracks are titled Entire Populations I and II and split into Pts I and II and the second four tracks are titled Glaciers and similarly split into four parts. A sense of balance therefore. Both Entire Populations and Glaciers deserve to be listened to in full. They make a lot more sense that way. In fact, this is an album that should be heard in one go. Entire Populations is full of looping and twisted and treated bowing, eerie vocals that fade in and out and resonates with ancient klezimer stylings. Fans of both Thee Silver Mt. Zion Memorial Orchestra as well as Godspeed You! Black Emperor will find much to appreciate in this. There’s that same sense of implicit horror and dread floating around. All four parts of Glaciers are even better. It simply sounds how you’d imagine a glacier to sound. It sounds like ice. Again Moss’ voice drifts in every so often, sometimes singing solo and looped, sometimes back at herself. Odd phrases and words rumble alongside drones and undulating metallic waves, leading to a contradictory feeling of both unease and contentment. 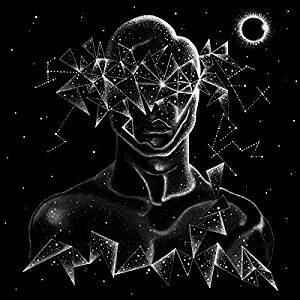 It’s been three years since our intrepid, intergalactic word-of-wonders Shabazz Palaces dropped Lese Majesty and it seems they’re fresher than ever. There’s rarely been a shortage of planetary imagery or otherworldly metaphorical MC-ing in their rich imagination however while a darkness pervaded their previous release here they’re seemingly exploding through the dark abyss into something wondrous and exotically colourful. Lead single Shine A Light featuring a guest spot by Thaddillac is emblematic of the jewel-encrusted riches on offer; all Bond-like orchestration and Wall of Sound production – it’s more lavish than a double portion of Viennetta. As always there’s a whacked-out narrative at work that’s as playful as their quite incredible promo shoots. This time round focusing upon the sentient being Quazarez – an extraterrestrial who’s basically just a big G cowboy in space. All of which is bum fluff around the main course of music on offer – though we did manage to work out that his parents are called Barbara Dream Caster and Reginald The Dark Hoper. 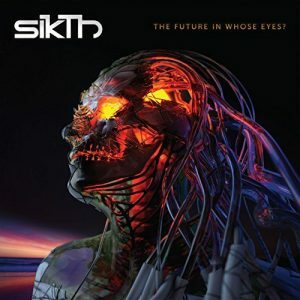 Sikth:The Future in Whose Eyes? London-based Tech Metal pioneers Sikth have been stalwarts of the UK underground metal scene since their formation and consolidated line-up in 2001. After the band went on permanent hiatus in 2007 following the departure of their two vocalists, Sikth joyously reformed and returned to the scene once again in 2014 with their crowd-funded and critically acclaimed Opacities EP. 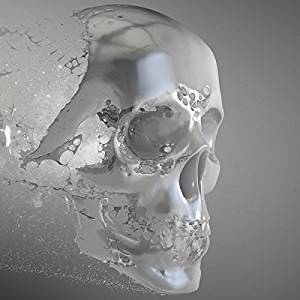 Cementing their return to the top of their game, and including a slight line-up adjustment with the replacement of vocalist Justin Hill with Joe Rosser (of Sikth sister band Aliases fame), they bring us their mind-blowing third album The Future in Whose Eyes? on Millennium Night Records. From bombastic opener Vivid and single No Wishbones, with their dual vocal attacks, popping bass tones, and detuned discordant riffs, across to the spoken-word tracks The Ship Has Sailed, The Moon’s Been Gone For Hours and ethereal album closer When It Rains; long-time fans and new disciples alike will find themselves in sonically challenging yet familiar territories. 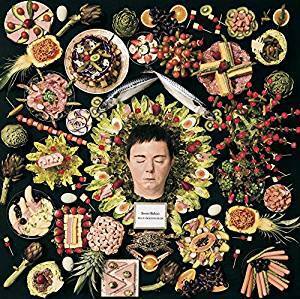 With his new album, Sweet Baboo, aka North Wales’ Stephen Black, delivers us true optimism. 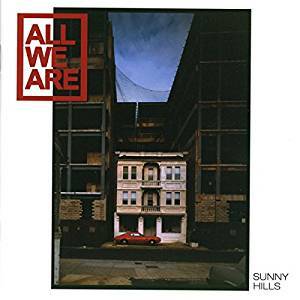 Written as an antidote to the harshness of modern times, it makes its case well, deftly dodging any limp lettuce sweetness with Casio keyboards and cheap drum machines giving it an off-kilter charm. Opener The Gardener nudges us gently in, with less than a minute of warm brass that reassures, before the bright prettiness of the title song, one that carries with it the innocence and naivite of a nursery rhyme almost. Black talks to his young son as the boy bashes away on a drum kit along to his dad’s Beatles and Rolling Stones records. ‘One day I hope to take you out on the road’ he daydreams. Hold On is a cute lullaby and a yearning for home, ‘hold on to that smile’, he implores the lad; Badminton is simpler still, gentle and contemplative, looking forward with hope. In Humberside there’s the lust for travel. So we do exactly that, and in it we follow quite an adventure, the drum machine clicking away as we wander into a spaghetti western duel – that’s what I imagine anyway – with an Ennio Morricone soundtrack bleeding in. Or is it Hank Marvin tapping us on the shoulder, coming to save us? Folk. It’s possibly the hardest music to get into. Forget free jazz, classical, opera, experimental electronic stuff and all the rest, folk music is the one that always baffles. It’s so knowing and so heavily based on searching for the non-existent roots of something that probably never well, existed, that you end up in a fruitless hunt for authenticity. Was this folk song you’re listening to derived from a 18th Century Scottish nursery rhyme or a ballad from even earlier times? Was that catchy ditty something Grimsby fishermen used to bellow out in the early 1800’s or is it an Appalachian ode to the delights of moonshine? Who knows? Somebody once said that all music was folk music and that could well be true, but folk music with a capital F is the hardest thing to pin down. Just when you think you’ve nailed it, then a true aficionado will come along and inform you that it’s not “real” and you’re listening to a pale imitation of what it’s all about. But if you do then you’d be missing out on stuff like this great album by The Unthanks. 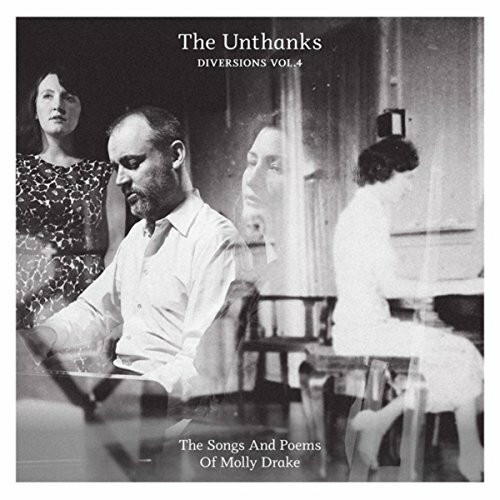 Diversions Vol 4: The Songs and Poems of Molly Drake is a quiet album and carefully put together by Northumberland’s The Unthanks. It’s comprised of songs and poems written by the mother of the late Nick Drake, Molly Drake- who by all accounts, was a strong and determined woman. While the songs were only released into the world a few years ago by her family, they’re not mere historical curios, an addition to bolt onto the enduring legacy of Nick Drake, but songs that stand in their own right. They are songs of love and everyday happenings; songs with a wry and ironic touch and songs that stand beyond mere pigeonholing into a folk bracket. The Unthanks deal with these songs in a reflective and respectful way, allowing Molly Drake’s voice to be shine through, yet with their own gentle arrangements they take them some way further. These songs and this album seems timeless. It speaks of the past, of the now and of the future.